A record 30 College of Arts and Letters students and alumni have been awarded grants by the Fulbright U.S. Student Program to study abroad in 2017-18. In all, 38 Notre Dame students and alumni received grants — an all-time high which tops last year's University record of 30 finalists. Six alternates and seven semifinalists were also named, for a total of 51 students and alumni recognized. The number of students and alumni recognized this year improves upon last year’s University record of 48. 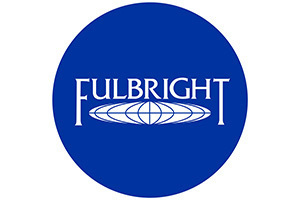 The Fulbright Program is the U.S. government’s flagship international educational exchange program, offering students grants to conduct research, study and teach abroad. Top-producing institutions are highlighted annually in The Chronicle of Higher Education. Notre Dame has appeared on this list for three consecutive years, coming in tied at No. 2 in the nation for the 2016-17 list. “Fulbright fellowships offer an amazing opportunity for our graduate students to support their innovative research within an international context. We are proud that so many of our students will serve as ambassadors for Notre Dame and the United States during their fellowship years,” said Laura Carlson, vice president and associate provost, and dean of the Graduate School. Sara Abdel-Rahim, Valrico, Florida; political science, Class of 2017 — study and research grant to Greece. Haley Adams, Midland, Michigan; anthropology and biological sciences, Class of 2017 — English teaching assistantship to Poland. Connor Bliss, Glenn Dale, Maryland; history and physics, Class of 2017 — English teaching assistantship to Spain. Madeline Cole, La Grange, Illinois; history, Class of 2016 — English teaching assistantship to Taiwan. Katherine Comeau, Ayer, Massachusetts; sociology graduate student — study and research grant to Jamaica. Luke Donahue, Brentwood, Tennessee; theology and German, Class of 2017 — study and research grant to Germany. Dana Drysdale, Florissant, Missouri; English, Class of 2017 — English teaching assistantship to South Korea. Ashley Edewaard, Charleston, South Carolina; theology graduate student — study and research grant to Germany. John Gadient, Perrysburg, Ohio; international economics, Class of 2017 — English teaching assistantship to Germany. Austin Hagwood, Quincy, California; English, Class of 2015 — study and research grant to Papua New Guinea. Madeline Hahn, Highland Park, Illinois; sociology and Spanish, Class of 2016 — English teaching assistantship to Spain. Maya Jain, Dearborn, Michigan; theology, Class of 2017 — English teaching assistantship to Peru. Teresa Kennedy, Wilbraham, Massachusetts; anthropology and peace studies, Class of 2016 — English teaching assistantship to Colombia. Judy Kim, Montclair, California; early Christian studies graduate student — study and research grant to Greece. Stephen Long, Fort Worth, Texas; theology graduate student — study and research grant to Germany. Leslie MacColman, Canby, Oregon; sociology and peace studies graduate student — study and research grant to Argentina. Grace Maginn, South Bend, Indiana; history, Class of 2016 — English teaching assistantship to Argentina. Emily Maiden; Burlington, Kentucky; political science and peace studies graduate student — study and research grant to Malawi. Todd Marek, West Lafayette, Indiana; anthropology graduate student — study and research grant to China. Mark Mariani, Mechanicsburg, Pennsylvania; theology graduate student — study and research grant to Germany. Lauren Morisseau, Verona, New Jersey; anthropology, Class of 2015 — English teaching assistantship to Rwanda. Sarah Neuberger, Edina, Minnesota; political science, Class of 2016 — English teaching assistantship to Argentina. Andrew O’Connor, Madison, Wisconsin; theology graduate student — study and research grant to Jordan. Joseph Rebagliati, Bellevue, Washington; international economics, Class of 2017 — English teaching assistantship to Spain. Joseph Riordan, New York, New York; theology graduate student — study and research grant to Israel. Peter Stankiewicz, Deptford, New Jersey; Russian and biochemistry, Class of 2017 — English teaching assistantship to Russia. Mark Therrien, State College, Pennsylvania; theology graduate student — study and research grant to Ukraine. Dolores Vargas, Hayward, California; psychology and German, Class of 2017 — English teaching assistantship to Germany. Hansel Weihs, Montebello, California; Japanese and aerospace engineering, Class of 2017 — English teaching assistantship to South Korea. Charles Yost, Urbandale, Iowa; Medieval Institute graduate student — study and research grant to Cyprus. Since its inception in 1946, the Fulbright Program has provided more than 360,000 participants — chosen for their academic merit and leadership potential — with the opportunity to exchange ideas and contribute to finding solutions to shared international concerns. More than 1,900 U.S. students, artists, and young professionals in more than 100 different fields of study are offered Fulbright Program grants to study, teach English, and conduct research annually in over 140 countries throughout the world. The Fulbright competition at Notre Dame is open to all current students and alumni. It is administered at the graduate level by the Graduate School’s Office of Grants and Fellowships and at the undergraduate level by CUSE. Students and alumni create an application for the fellowship program in conjunction with their faculty advisers and under the direction of either the Graduate School or CUSE. The recent improvement in Fulbright outcomes at Notre Dame corresponds to the increasing efforts by the Graduate School and CUSE to provide both one-on-one consultations and group support for students throughout the application process, including conceptualization of projects, writing and revising proposals, and interview preparation and practice.